Masawoud then takes us back through his story of being born with ‘crooked legs and feet’ and the operation that made it possible for him to walk and of the people who helped him. His resilience is clear as he alludes to the pain of people making fun of him or the times when his physiotherapy was tough. There is no self-pity, though noone would blame him if there were; and all the way through, the photographs are testament to the amazing character of this young boy. One of the series of small, photographic non-fiction books created by Deborah Cowley and Kathy Knowles, founder of the Osu Children’s Library Fund, the narrative is beautifully crafted, simply and informatively told so that young readers will absorb the essence of the story and feel they have found a friend in Masawoud. The role of OCLF is also central and the book is a good resource for demonstrating the positive impact of on-the-ground charity work. 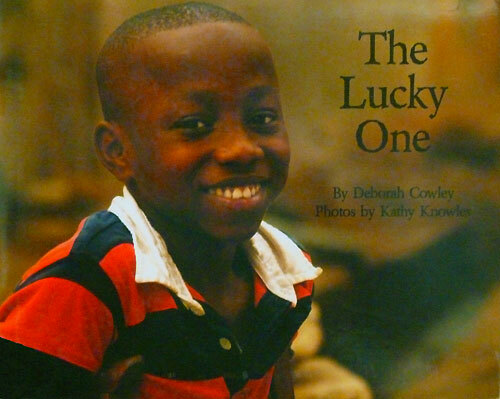 The Lucky One is a very special book, both for the children who use the OCLF’s libraries and for children across the world and, with its first-person narrative and vibrant photographs, it is sure to leave a deep impression. But now for the bad news… The Lucky One is currently out of print and second-hand copies are rare. If you are lucky enough to have this book in your library, do promote it and please don’t get rid of it in a culling sweep just because it is eight years old – it is as hugely valuable and relevant today as ever it was. 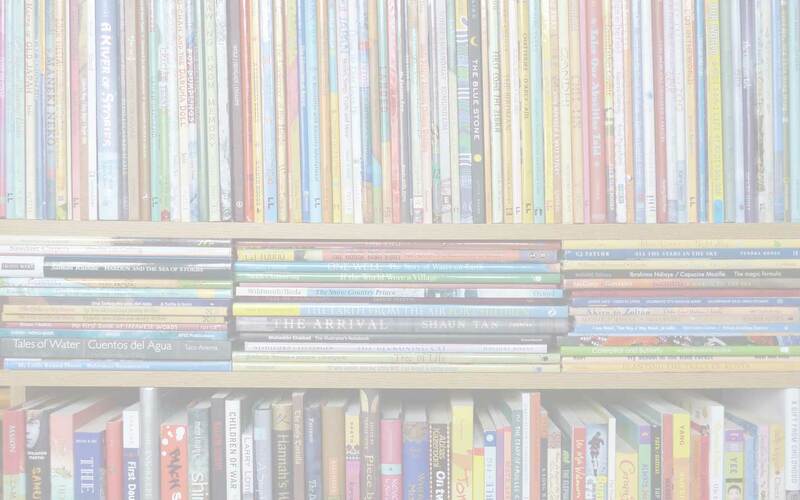 Children's and YA books about disability, Deborah Cowley, disability in children's books, IBBY Collection for Young People with Disabilities, Kathy Knowles, MWD book reviews, Osu Children's Library Fund, photographic picture books for children, The Lucky One. Bookmark.